What would happen if most people actually followed my #Cindy365Notes ‘Note a Day’ challenge instead of just clicking “like” on Instagram or re-pinning? How would our society and local community change if; you, me, business owners, job centres, recruitment agencies and schools posted these recommendations, ate a page and then operated accordingly? Of course the best thing about notes and making lists is crossing things off – putting words into action! 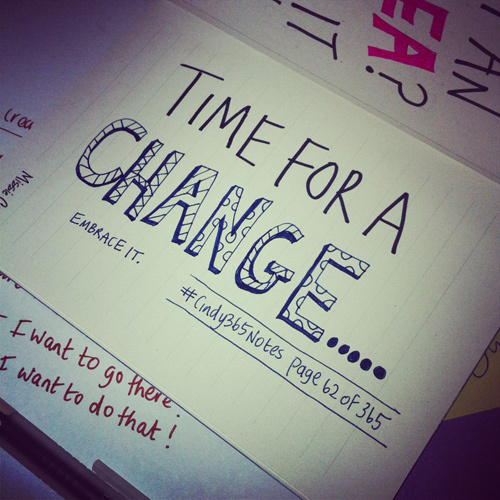 So c’mon, let’s commit to putting some of these notes into practice – I intend to! 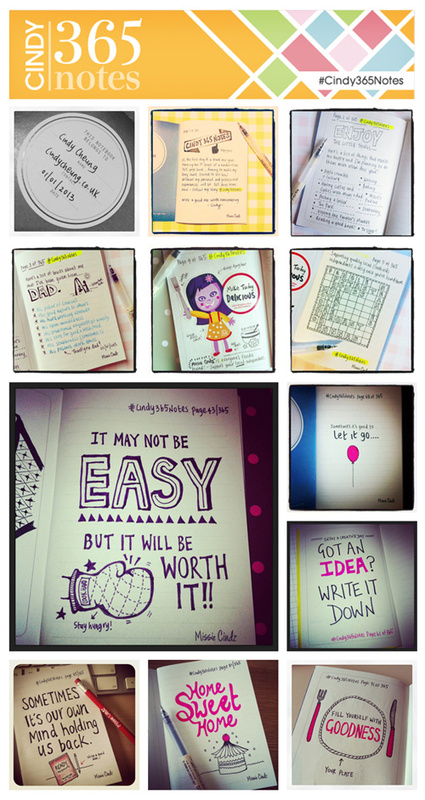 At the beginning of the year, I gave myself a challenge, that in every day in 2013, I would write a note of day and post it on my instagram and pinterest. 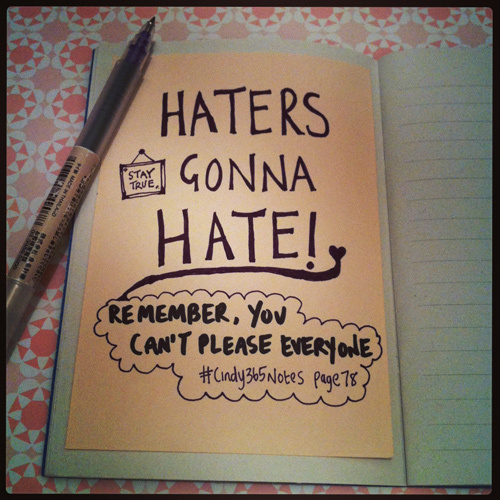 I could write down anything but only had two rules: 1) they had to be handwritten words/doodles meaningful to me in my Missie Cindz notebook and 2) I must call to action these pages sometime during 2013. I wanted to do this because we all need a dose of self-stimulant as a motivator to keep us all discovering new things. (I’ve posted up these photos on Instagram. 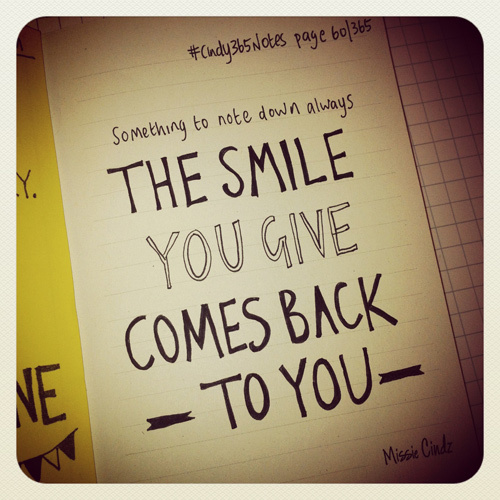 Follow @missiecindz to find out more, and hashtag #Cindy365Notes to join).